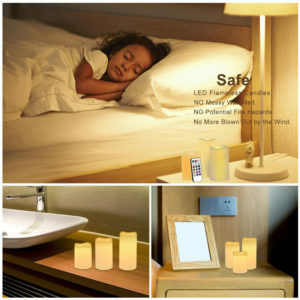 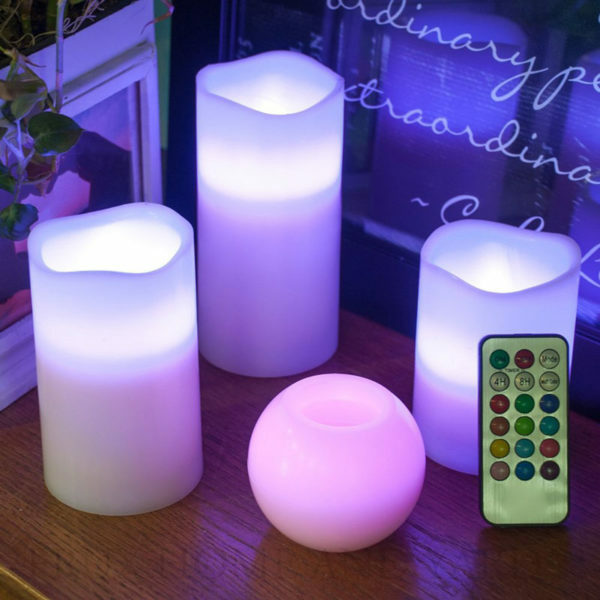 Flameless Candles-Powered by 3 AAA batteries per candle,the inside LED gives out the light,no fire hazard,no more worries for wind,safe to use everywhere.Note: Real wax material,please do NOT put it near fire or things that are hot. 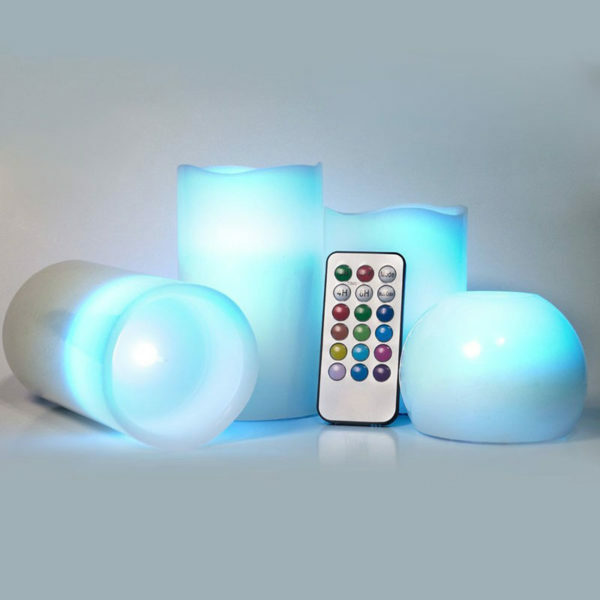 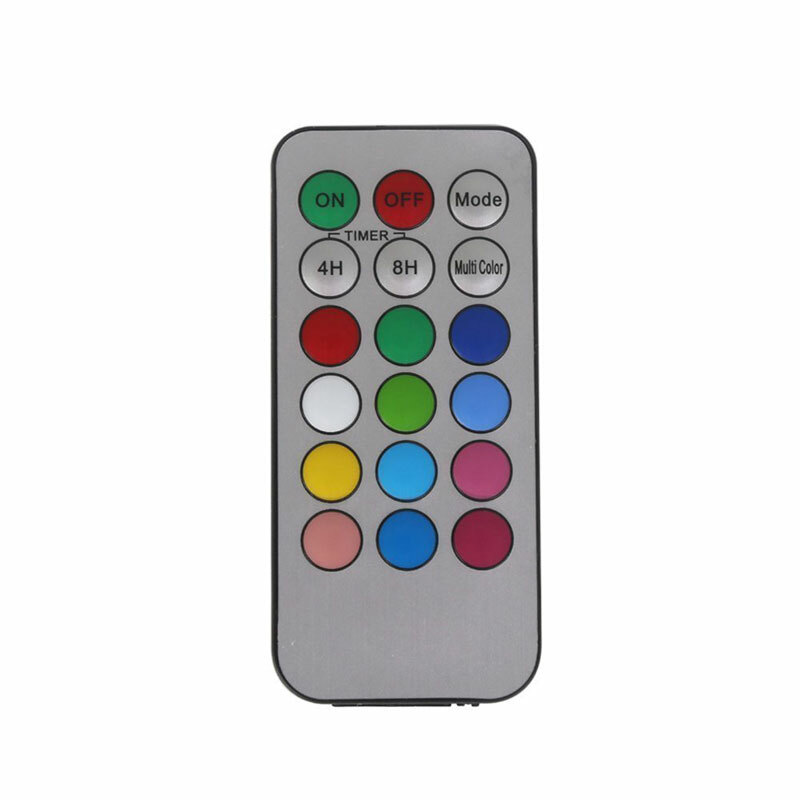 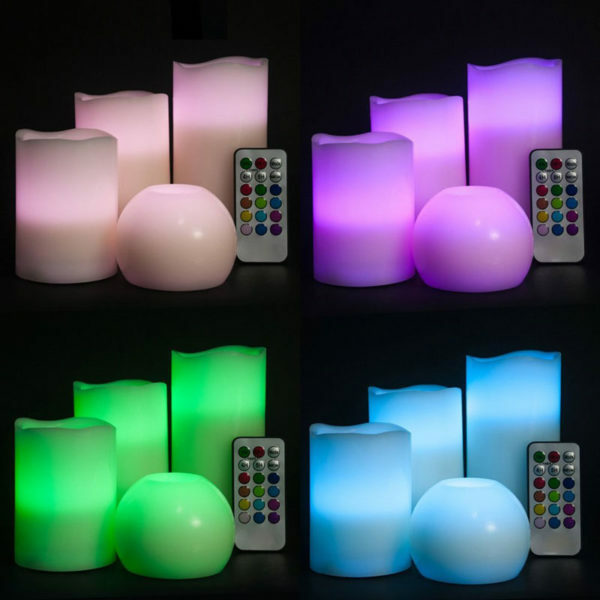 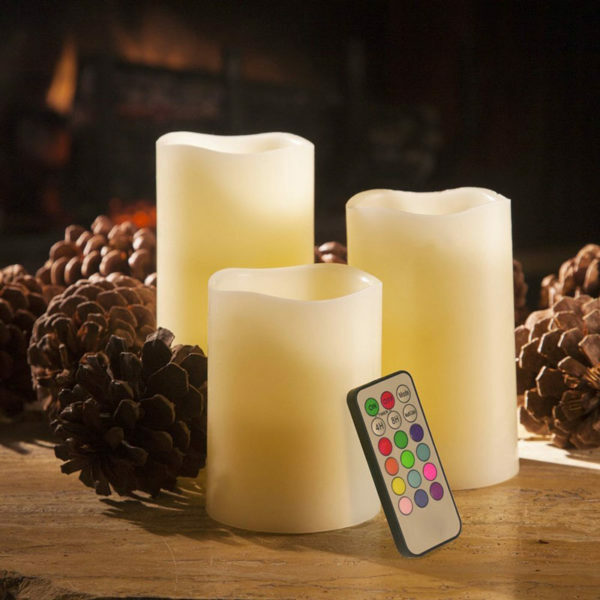 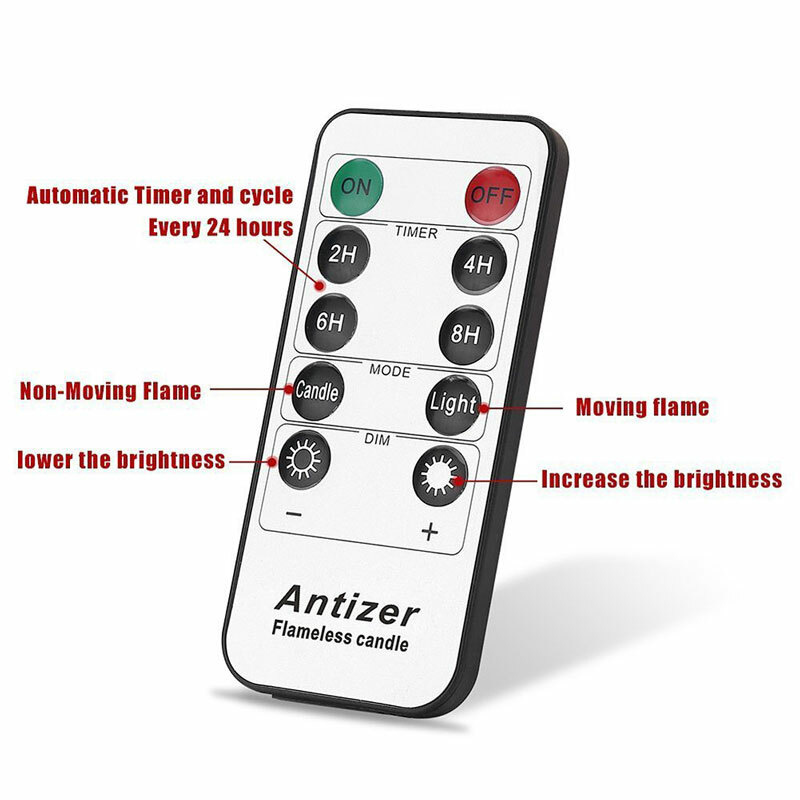 Remote Candles-Within 16.4 foot,the 10-key remote timer can control the candles.You can use the timer feature to set the candles to light up at a certain time for 2,4,6,8 hours. 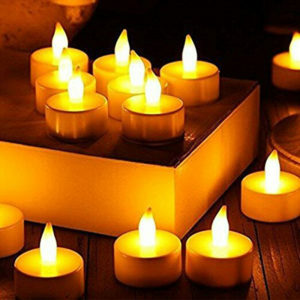 Real Flickering Candles-These candles lights flicker like normal fire-lit candles,it presents a flickering flame, very creative and real. 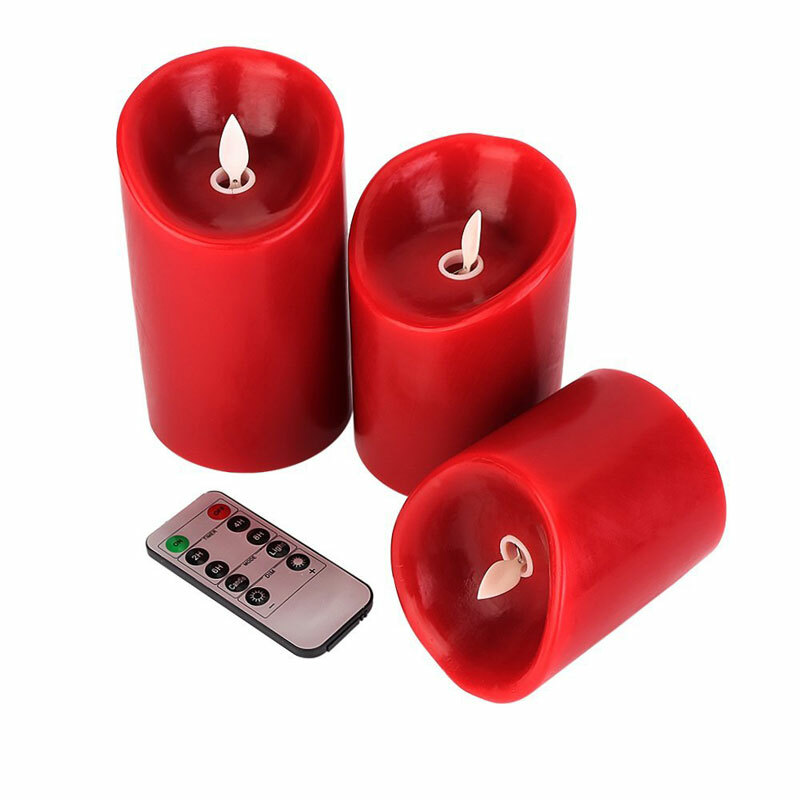 Widely used for Easter,Halloween,Christmas,birthdays,weddings,yoga practicing,celebrations,home decorations and many other similar occasions.This is a perfect item to create a romantic and holiday mood. 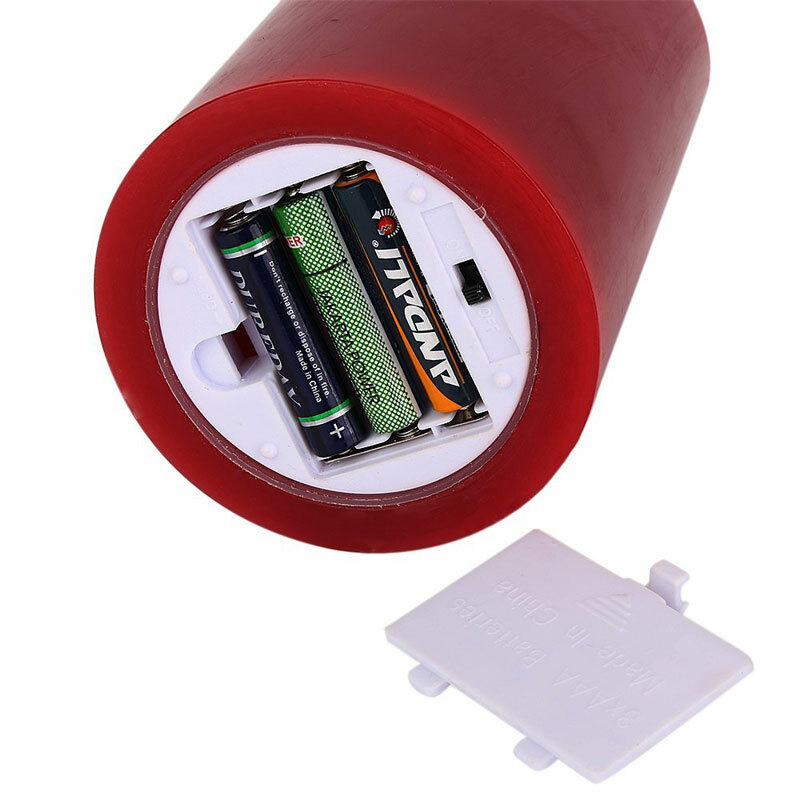 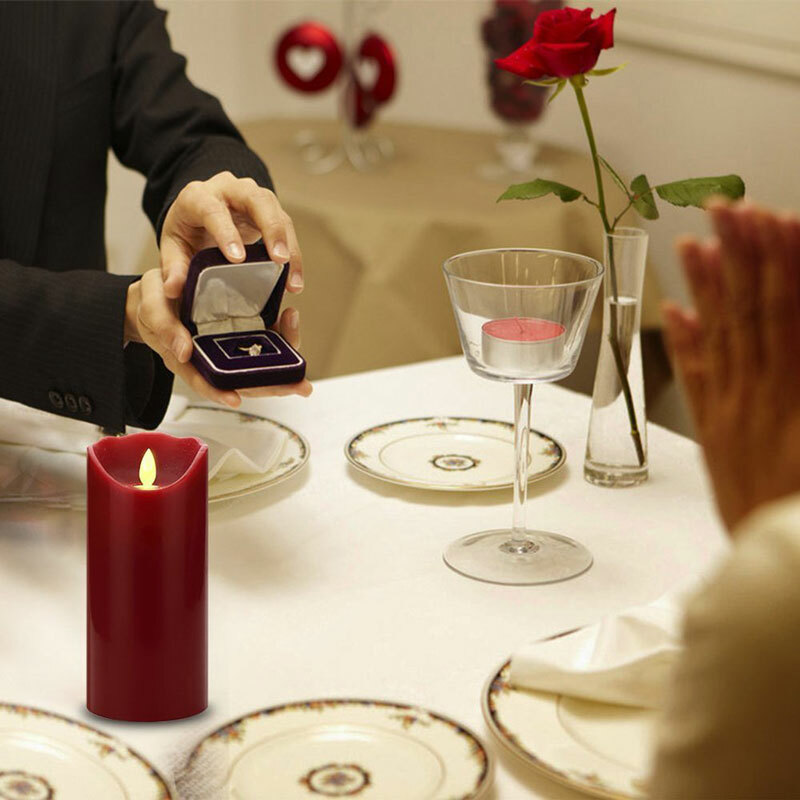 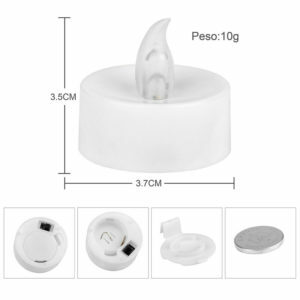 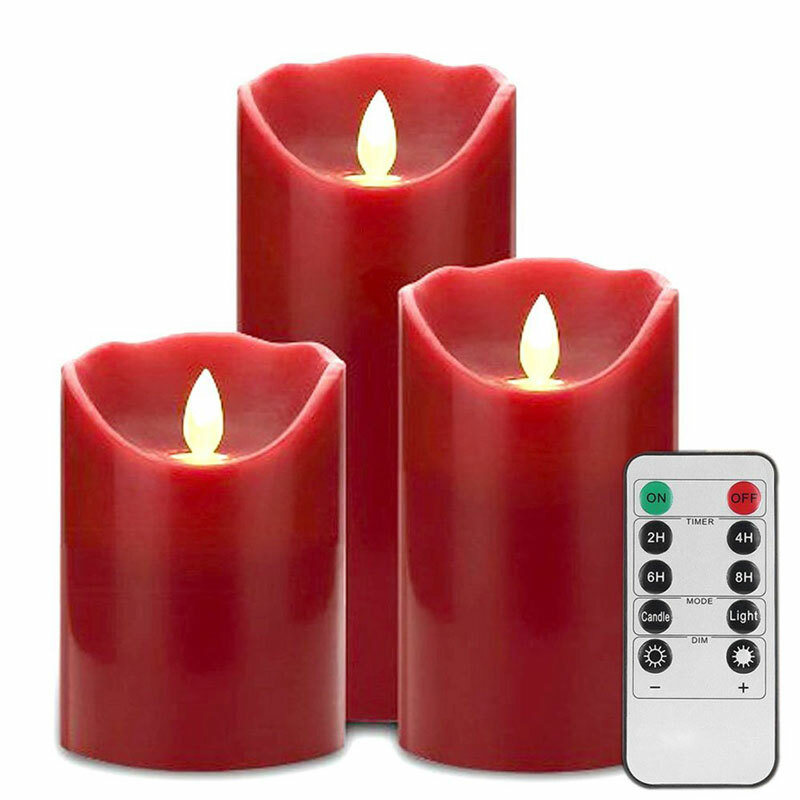 Package includes 3 red pillar candles(4″, 5″,6″, diameter 3.25″), 1 remote control,batteries are NOT included. 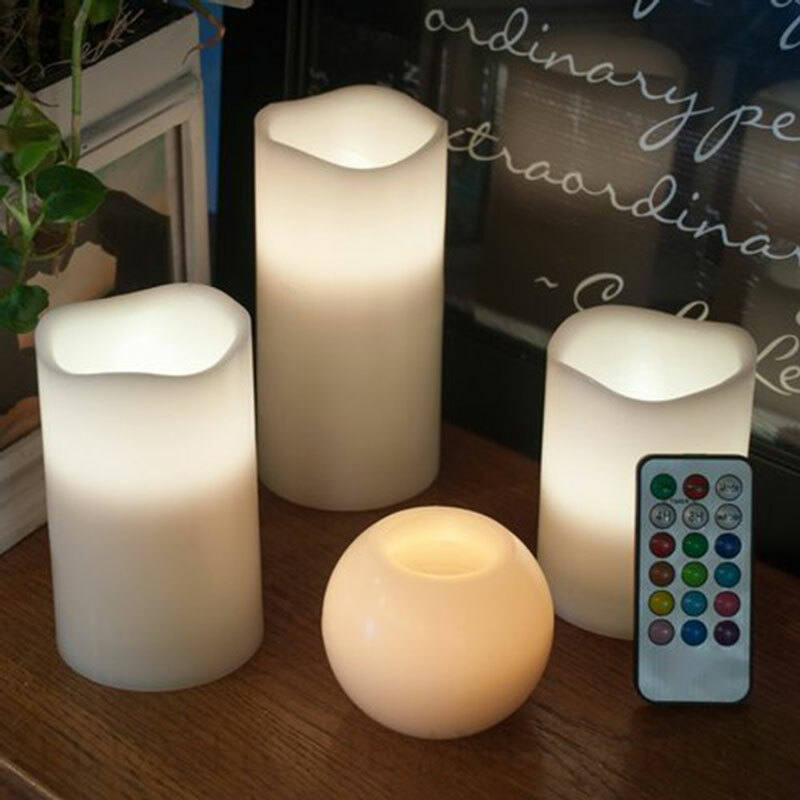 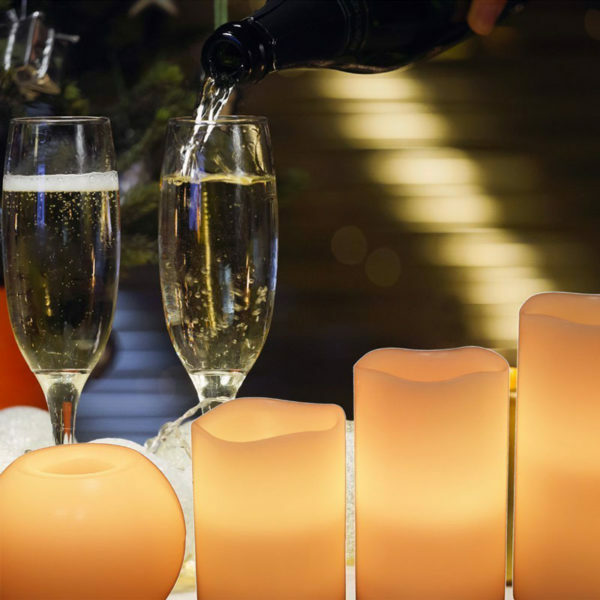 A great alternative to those traditional fire-lit candles,with real wax housing, Glamouric LED Flameless Candle Lights look and feel like normal candles but NO fire hazards! 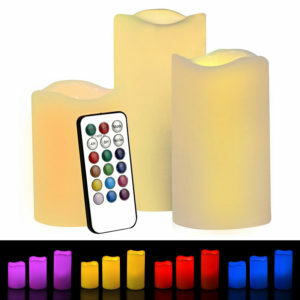 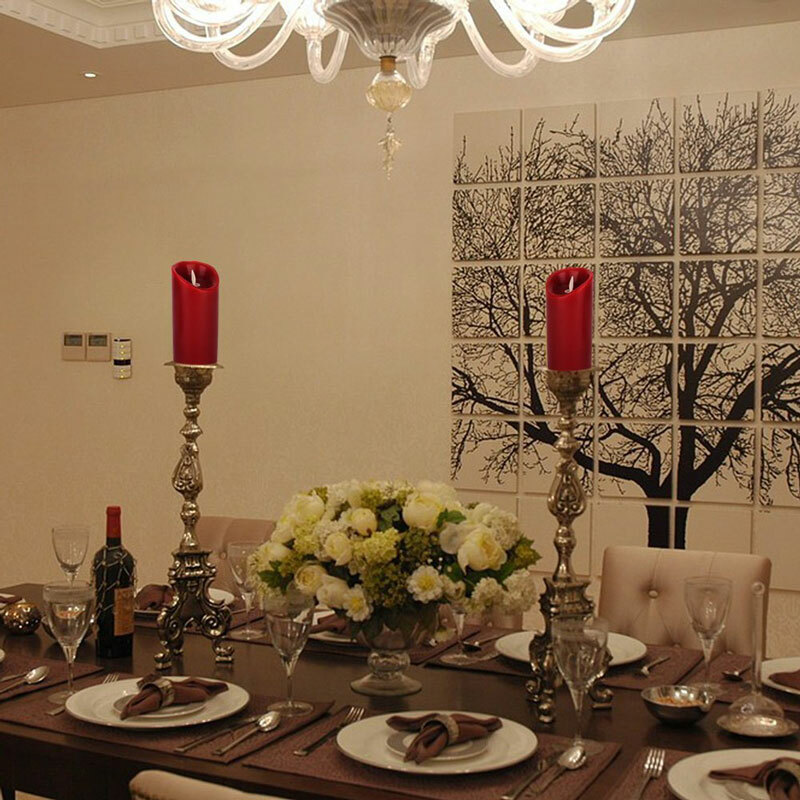 They cast a beautiful light with real flickering effect,your friends or guests won’t be able to tell the difference. 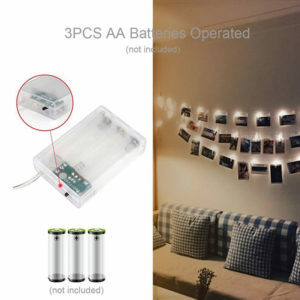 Powered by 3 AAA Batteries each (not included in the package),they can be conveniently operated via the remote control/timer from approximately 16.4 feet away. 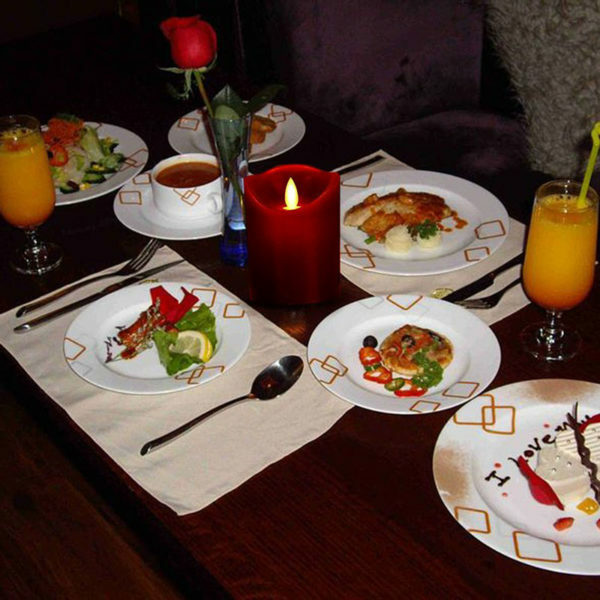 You can schedule these candles to light up at a pre-set time,having them remain on for 2,4,6 or 8 hours.